1 hour ago#DXCLUSIVE: Truth Enlists Tragedy Khadafi For "TNT (Large Professor Remix)" Video 11 hours agoRico Nasty Teams With Kenny Beats For "Anger Management" Album 11 hours agoLil Nas X Might Change His Name Because Nas Is A Legend 14 hours agoDave East Blames The Internet For Exaggerating His "Old Town Road" Hate 15 hours agoPromising R&B Collective Emotional Oranges Serves Lusty Number With "Someone Else"
A piece of Beatles history is once again for sale, as the guitar George Harrison played during his last-ever appearance at Liverpool’s iconic Cavern Club is heading to auction. And it’s expected to fetch quite a pretty penny, as the guitar is estimated to sell for a whopping £400,000 (or roughly $673,000 CAD). The guitar is a Maton Mastersound MS-500 and was first played by Harrison after he sent his Gretsch Country Gentleman for repairs at Manchester’s Barratts, whose owner then lent him the Maton as a temporary fix. Harrison ended up keeping the guitar, however, and played it during a series of Beatles gigs, including the band’s last-ever show at the Cavern Club on August 3, 1963. 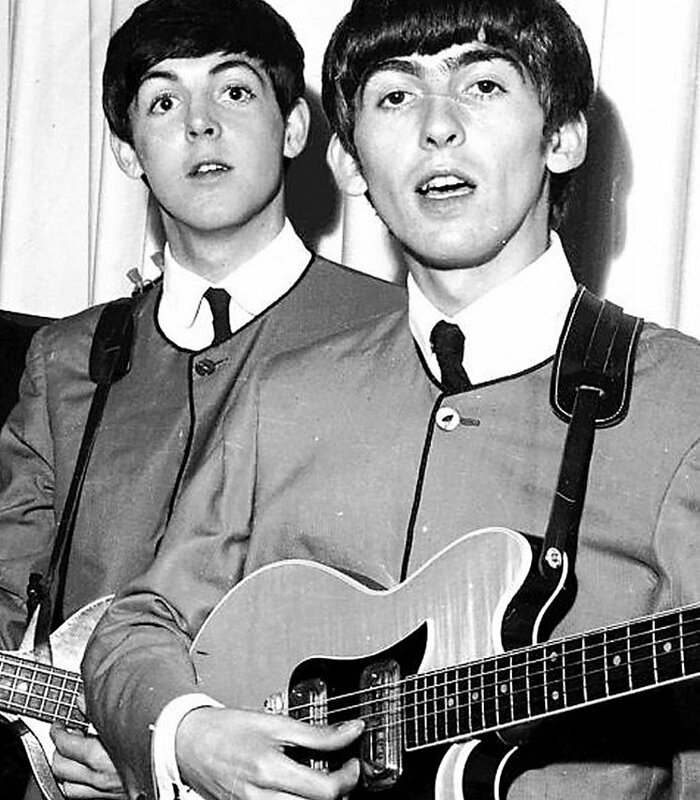 This isn’t the first time the guitar has gone up for auction, as Barber’s widow sold it in 2002 before it landed a home at The Beatles Story museum in Liverpool from 2014 to 2018. You can see a photo of the guitar below and learn more about the auction over here.